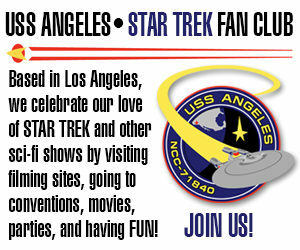 Foreign FILM FESTIVAL fancies FAN FILMS! Hey, you–the one who made a fan film! Want to get it into an actual Film Festival? This is the kickoff year for the BERLIN SCIFI FILMFEST, and they’re seeking out fan films (in English!) to join a slate of science fiction films being entered by independent producers from around the world! Usually, fan films are relegated just to conventions and small fan gatherings. But the folks at the Berlin SciFi Filmfest are reaching out to fan film folks like me specifically to spread the call for entries for their inaugural festival on November 17th and 18th of this year at the Babylon Cinema in the heart of Berlin, Germany. Feature Fan Film (min. 30 minutes). You must have all copyright clearances, including music, for all the work you submit to us. Fan films are an exception as they are always homages to existing franchises. We do accept and want Fan-films in the festival. I also checked to confirm that there is no release date requirement for any entry. So even if your fan film was made three, five, or even ten years ago, it’s eligible. Entry fees for submissions made before July 15 are a very reasonable $15 per film. After that, it goes up to only $20 through August 15, $30 through September 15, and an extended deadline until October 10 of $40. You can enter your fan film in just a few minutes right here. Films submitted must belong to the Sci-Fi & Fantasy Genre, geek interest films of all types, including documentary, narrative, animation, experimental and fan films. All submissions must be made online, uploaded as a digital file. We do not accept mailed dvd’s or other media formats. You give the Berlin Sci-Fi Filmfest permission to use the film or its trailer and/or any other marketing materials you supply to us for any promotional purposes for the festival. 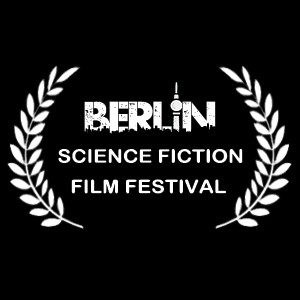 You give the Berlin Sci-Fi Filmfest permission to show your film royalty-free during the festival at the designated venue(s). Once a film is officially accepted to the festival, the filmmaker can no longer withdraw it from the festival lineup. The filmmaker is responsible for submitting the screening materials before the festival. Fan-films are an exception as they are always homages to existing franchises. We do accept and want Fan-films in the festival. I want everyone to know this that. No one from other countries don’t have to use thoses rules. Cbs and paramount studio can’t go after them. Not entirely true. The U.S. has mutual protection copyright treaties with certain countries and not with others. The Berne Convention for the Protection of Literary and Artistic Works (Berne Convention) and the Universal Copyright Convention (UCC) have been adopted by most countries and offer protection to foreign works under certain conditions. Whether this filmfest would be liable or not, they might avoid all Axanar-related stuff due to the legal stink and controversy. Also, showing it might make it look as if they’re taking sides in this. Any resulting publicity, good or bad, that results from possibly accepting Prelude to Axanar for showing or judgement may screw up any possible business dealings that these guys may currently have or wish to develop with CBS/Paramount. I doubt any of that is an issue. The lawsuit was settled. I want to see the rules from other countries and i will bet they don’t use them for the internet. I would like to see them. As for the usa/west cost they use them for films and tv shows only and not a thing for the internet. Not sure what you mean there, Kenny. The guidelines apply to Star Trk fan films from any county–Scotland, Germany, even Croatia (I’ve seen Trek fan films from each of those countries in the last two months). Next Next post: RENEGADES announces WORLD PREMIERE SCREENING in North Hollywood on JULY 12th!